QSO365 - An amateur radio blog by G6NHU (previously A QSO per day in 2011). For the last couple of months, I’ve not done much in the way of traditional radio, largely down to the fact that I’ve been really busy at work. I’ve had lots to do and I’ve spent a month working away from home either on training courses or in meetings preparing for a very large project. My Hans Summers Ultimate 3S transmitter has been running continually on 10m for a couple of years and earlier this month I decided to shift it around for a while and so it ran for a week on 20m and then a week on 17m while I was working away from home. At time of writing, it’s transmitting on 80m as there have been a few signals European transmissions received in North America recently and I thought it would be interesting to see if my 200mW QRSS signal would make the trip across the pond. Here’s a reminder what QRSS actually is. Imagine Morse code sent very slowly, so slowly that one simple ‘dit’ takes six seconds to send and a ‘dah’ takes eighteen seconds. Imagine also that it’s transmitted using audio frequency shift keying (AFSK) with just 4Hz differentiating the two tones and what you’ve got is QRSS. If you were to listen to it, you’d struggle to hear the difference between the two tones and that’s if you could even hear the signal because they’re transmitted with very low power, typically under 200mW. Unlike WSPR which is automatically decoded and the callsign of the sender is uploaded to a central site, QRSS is decoded by eye and signals are so weak that it can take many repetitions stacked on top of each other to be able to see who is transmitting. There are very few stations in the world who transmit QRSS or run grabbers to receive QRSS signals. I’ve been running my grabber again and have received some nice signals from Vernon, VE1VDM on 20m. Here’s a typical ten minute transmission from Vern. If you click the image above, you’ll get a larger version where you can see the bare trace of a signal on the screen. Looking at the scale on the right hand side, the noise is at around -38dB and the signal is a fraction above that at about -36dB. If you were to tune your radio to the same frequency I’m monitoring on 20m, you wouldn’t hear anything because it’s that weak. FT8 can decode signals that are at -26dB and WSPR is good for about -30dB so using QRSS you can get decodes of signals significantly weaker than FT8 or WSPR. “Ahah”, I hear you say. “But you can’t actually decode anything from the image above”. Of course, you’re correct and this is where stacking comes into play. Vernon’s signal was visible on my grabber between 11:00z and 17:50z on the 27th March 2019. 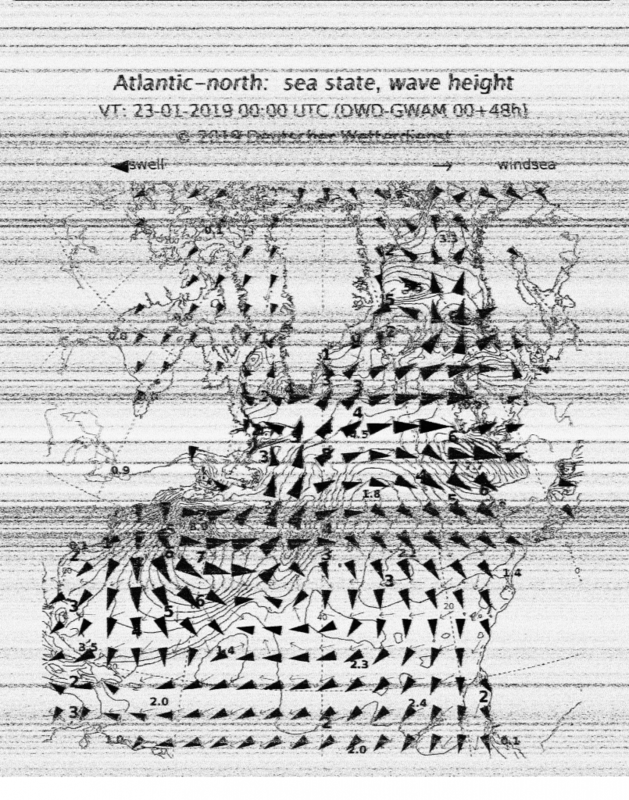 QRSS operators normally transmit the same thing over and over again in ten minute frames allowing for stacking, that is combining multiple images on top of each other to build up an overall picture. If I combine the forty one frames captured on Wednesday, this is what I get. This is literally Morse code painted on screen by the transmitted audio tones (AFSK). In order to read it you look at the top half of each character and you’ll see the code. This will make it easier. As you can tell, QRSS isn’t for the impatient. 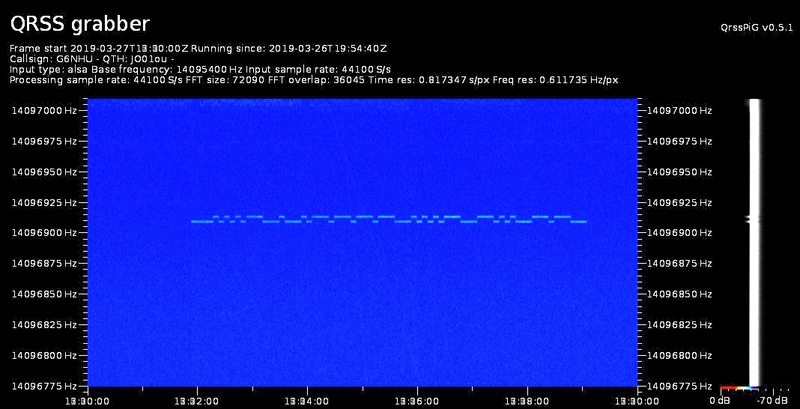 I’ve gone for weeks and weeks without anyone spotting my 10m QRSS transmitter but all of a sudden it can appear out of the noise for a few minutes if the band opens briefly. Over the last year or so, there have been quite a few spots of QRSS beacons on 10m that are purely down to meteor scatter. QRSS is also really good for aircraft scatter on 30m and there have been some fascinating studies written about aircraft scatter. By knowing the route and speed of an aircraft, the transmitting station can be located within a few miles due to the scatter on the received signal. Frequency stability on both QRSS transmitters and receivers is absolutely vital to get a good clean signal. The difference between the two lines on the picture above is just 4Hz and the overall bandwidth on the image is just over 200Hz. If the transmitter or the receiver were to drift just one or two Hz the the signal would be nowhere near as clean as can be seen in this example from the day before. Vernon hadn’t quite got the temperature stability sorted in his transmitter and this can be seen in the approximate 2Hz variation in frequency. Good frequency stability is the reason I installed a replacement temperature controlled crystal oscillator into my TS-590SG last year as it means my radio is absolutely bang on frequency with zero noticeable drift, even on 10m which was particularly bad before. I really enjoy tinkering with QRSS and seeing what can be done with these incredibly weak signals. There aren’t many radio amateurs playing with it around the world so it’s very satisfying to see these signals appearing on grabbers and watching the grabbers to see where you’re being received. If you’re interested and want to know more, our small community has an email reflector at groups.io. With just under 160 members, you can see that it’s fairly specialised. To see some of the ‘grabber’ stations around the world, take a look at Scott’s page here which is an automatically updating list of grabbers with the current latest image. It takes more work than WSPR to find yourself but it’s worth the effort. 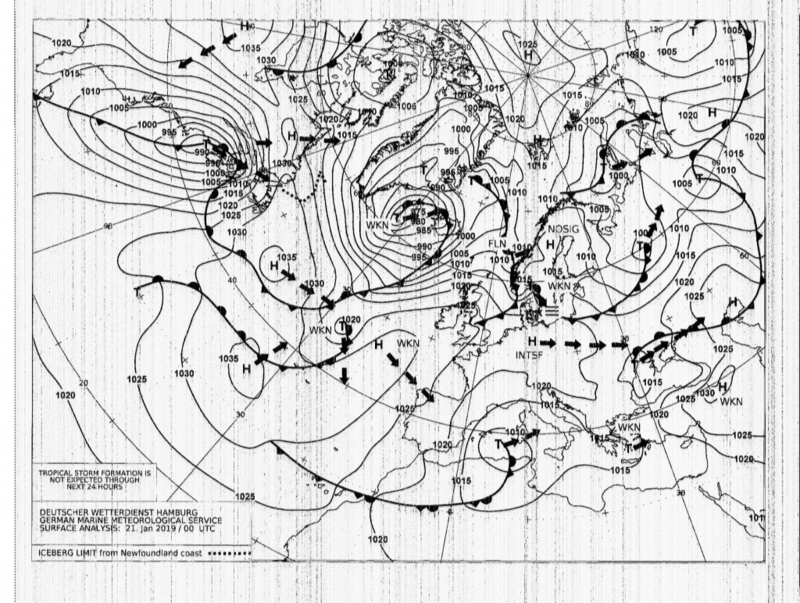 A week or so ago I saw a weather fax (WEFAX) picture someone had posted that they’d captured on HF. 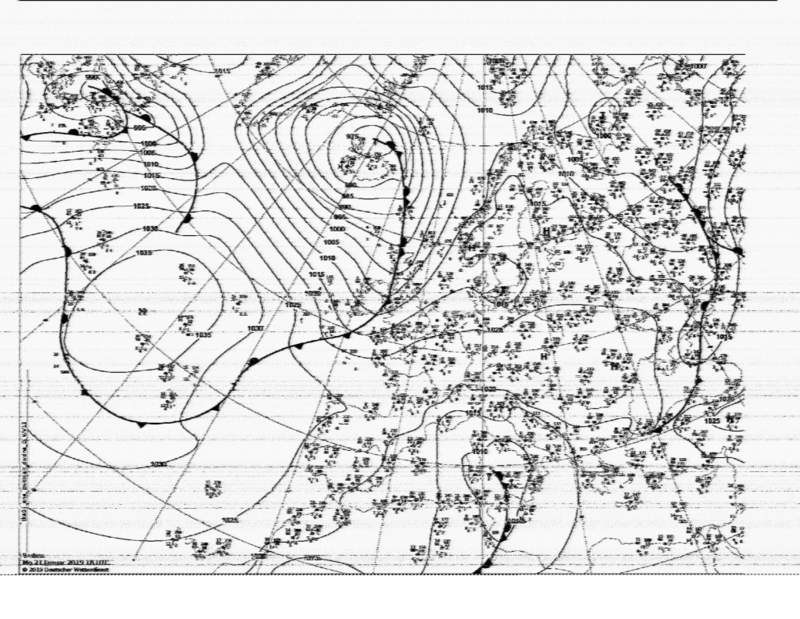 This grabbed my attention because I like maps and I like to see things to do with the weather. 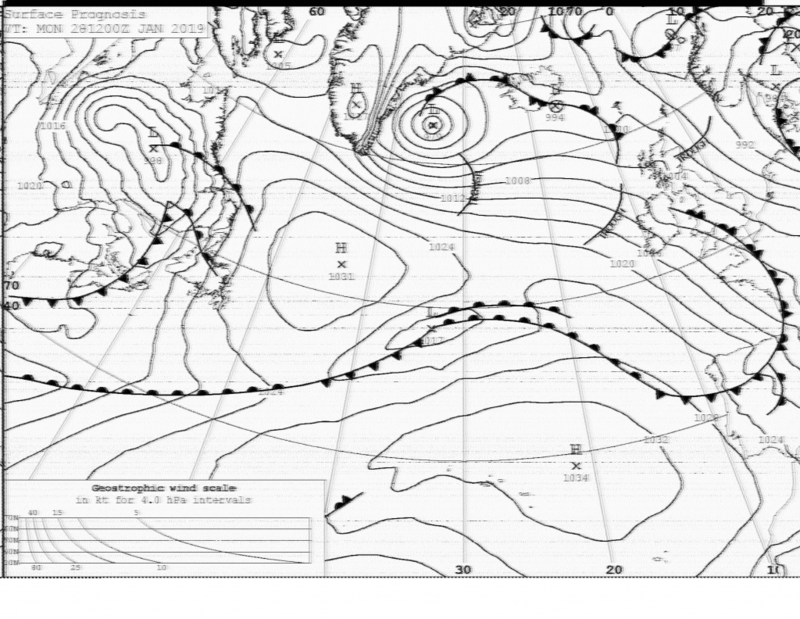 I’d tried a couple of years ago to receive satellite weather pictures with little success (due to a very poor aerial) and the idea that I can receive weather maps on HF intrigued me. 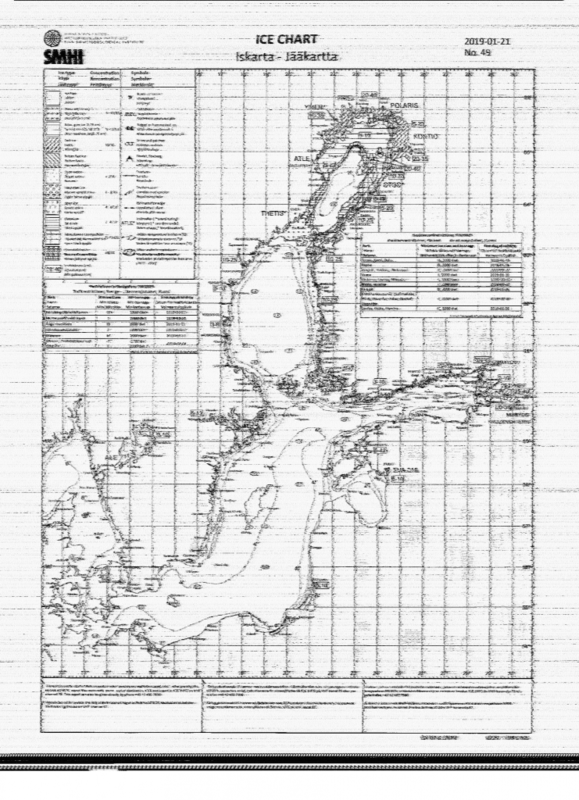 After very little searching, I discovered that fldigi can receive fax pictures. I use fldigi for operating data contests so I’m very familiar with it. 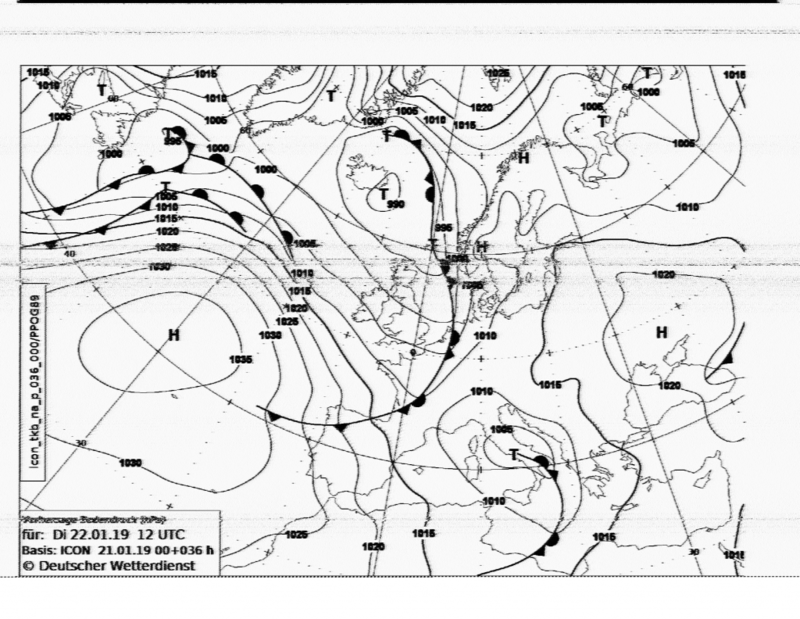 I soon had it configured correctly and so the next stage was to find what frequency the WEFAX pictures are transmitted on. 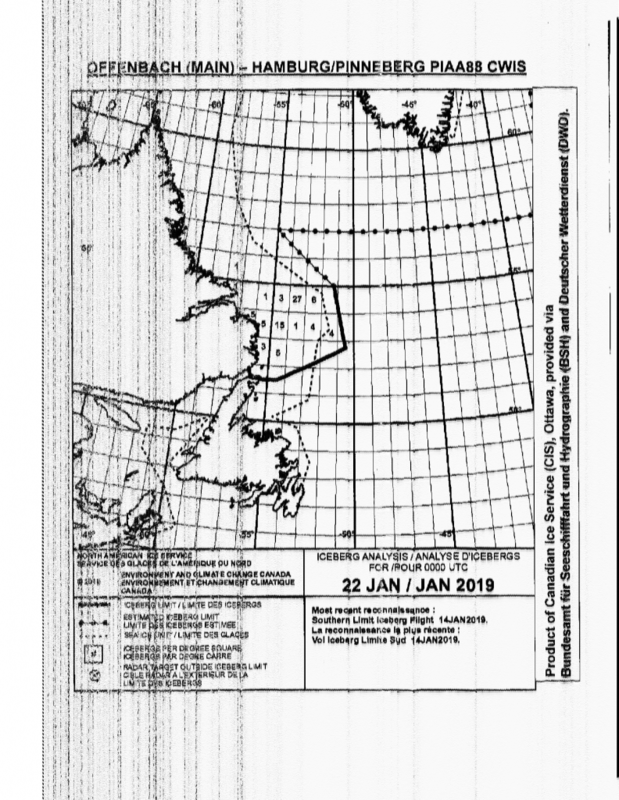 A quick search around and an ask via Twitter pointed me towards this document which lists various transmitting stations around the world. There are two in Europe that I decided to try listening for, one in the UK at Northwood and the other in Hamburg, Germany. 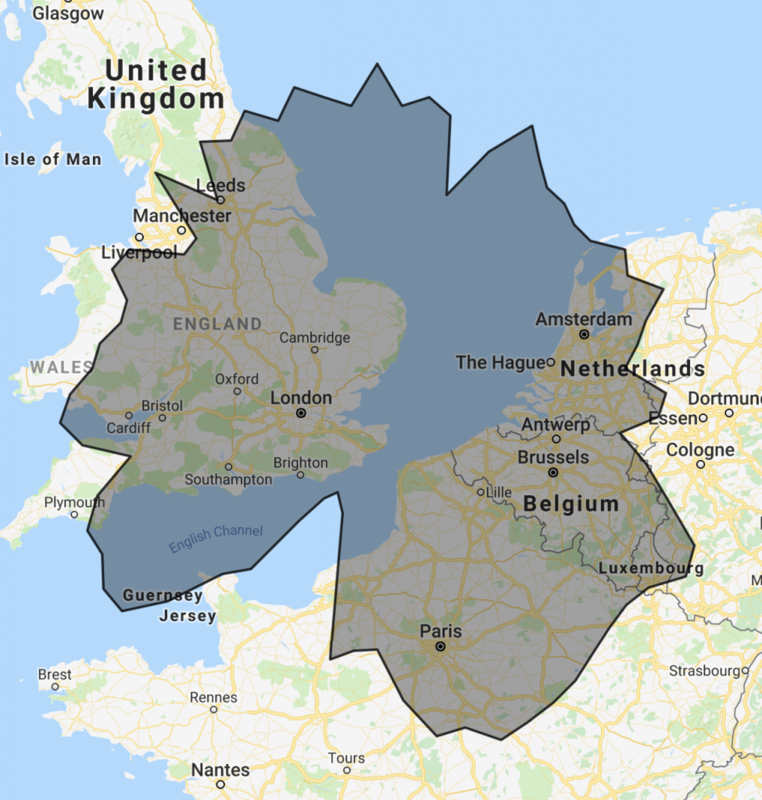 I first started listening on the UK frequencies but heard nothing so I switched over to Germany and over the course of the week, I received a lot of pictures. 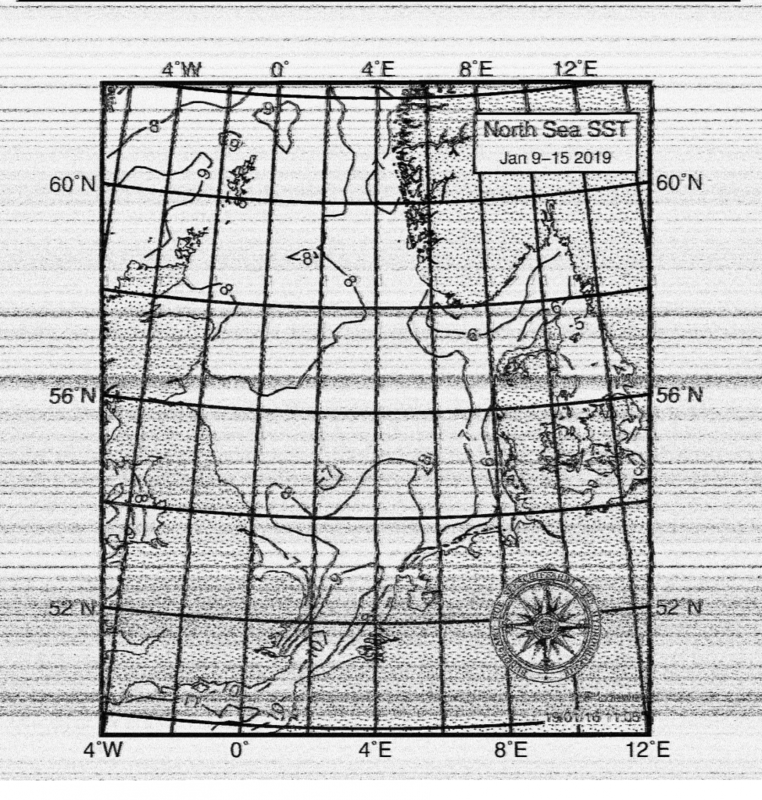 The 3,855.000 kHz signal seemed about the best for me here. 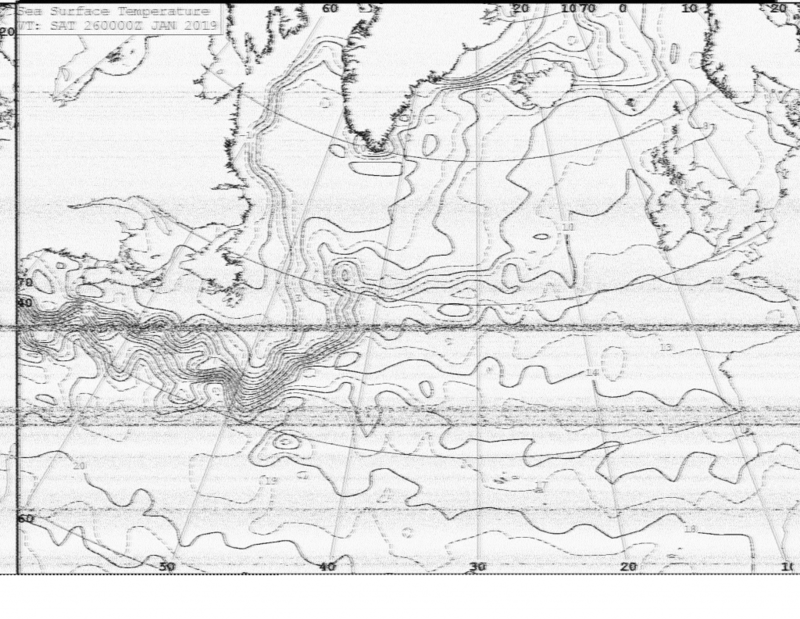 This morning I switched to the Northwood frequency of 4,610.000 kHz and very soon the pictures started rolling in. If you are receiving signals from Germany then the shift is 850Hz instead of the default 800Hz. This is changed through Configure / Operating / Active Modem, select the Other tab on the second row and then the Wax tab below it. For Germany, put 850 in the Frequency shift box or leave it at 800 for UK reception. If you switch between the two transmitters, remember to change this figure. Make sure you hit the Save box at the bottom. Set LPM (lines per minute) to 120 in the box below the receive window. 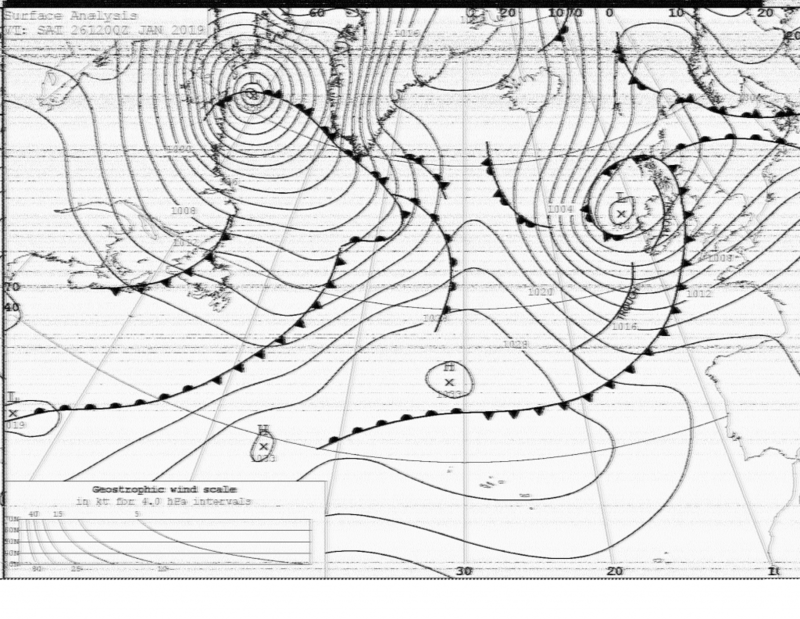 For UK reception, I’ve found the Slant figure needs to be at 0.0071 and for Germany, set it to 0.0118. This is to ensure the picture is vertical and doesn’t slant. Most sites I’ve found suggest tuning your radio to 1.9kHz below the transmit frequency but it really doesn’t matter, as long as you have a good signal in the waterfall and you set the two red vertical lines on top of it. My radio ‘sweet spot’ is at 1,500Hz so I tune 1.5kHz below the transmit frequency and set the radio filter down to 1,000Hz as can be seen above. That’s it! Tune your wireless in to one of the frequencies in the list I posted above and wait. You’ll soon have an image folder full of stuff like this. You can click on any of the images above for a higher quality version. 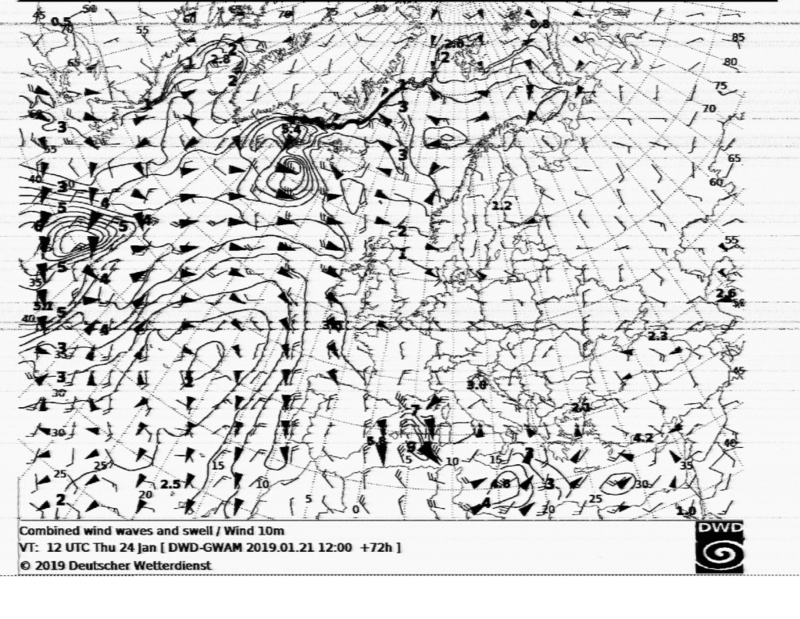 Receiving WEFAX maps is very straightforward, quite simple to do and can produce some good results. Not all pictures I’ve received are as good as above but on the whole, I’m very pleased with how easy this has been. This weekend was the ARRL RTTY Roundup contest and for the first time, FT8 was allowed. I spent a couple of hours operating just to give away a few points and get some experience using the new version of WSJT-X in contest mode. I’d been working mainly European stations and all of a sudden, I noticed an unfamiliar callsign on my screen – 9L1YXJ which WSJT-X identified as Sierra Leone. I was fairly sure I’d not worked this country before and it only took a few seconds to double check. I was right, this was a potential new one. A couple of minutes later I managed to complete a QSO with Mark and I’m very pleased that he’s already confirmed the contact on LoTW. This takes me to 277 DXCC entities worked and confirmed. All new DXCCs are good, they’re especially good when they’re unexpected. To start with, I’ll post the basic statistics for the entire year of 2018 and then go into the background. Days missed: 0 <- This is the most important statistic, it means that QSO365 #2 was a success. When I started this site back in November 2010 it was solely to document my attempts to make a QSO per day in 2011. I was very vocal about my challenge with articles published in many of the amateur radio magazines and news reporting sites. I successfully completed the QSO365 challenge and the site continued, becoming my regular amateur radio blog. 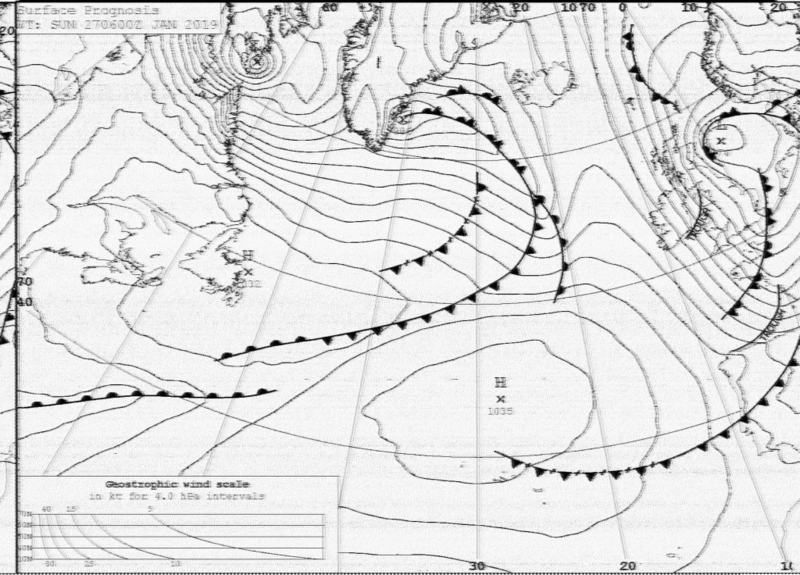 At the time, despite having held an amateur radio licence for nearly thirty years, I’d never really operated on the HF bands and had little experience. It was a massive learning curve for me and I’d timed it perfectly as solar cycle 24 built up nicely throughout 2011, leading towards the first peak in early 2012. During the course of the year, I was able to to make a lot of changes to my station including replacing my FT-847 with a TS-590 and with the help of a group of local friends, installing a mast with an HF beam on the top. All this is well documented within this blog. I decided towards the end of 2017 that I wanted to see if I could complete this challenge again in 2018. I didn’t tell anyone about it, I didn’t publish anything about it, I just got on and did it. Throughout the year, I did mention to maybe half a dozen people that I was doing it again but asked them to keep it to themselves. My initial expectation was that it was going to be difficult to complete, largely because we are now right at the bottom of the solar cycle with very few sunspots and (to be blunt), pretty dreadful conditions on the HF bands. A lot of my contacts in 2011 were made during contests where I concentrated on 15m which is my favourite band and I was fairly sure it wasn’t going to be open very often in 2018. I was right, 15m has been dire. I expected the challenge to be difficult to complete in 2018 because I thought I would be relying on the lower bands, ie 160m through to 30m and my aerial for those bands isn’t very efficient. All I have is an inverted L with a Smartuner at the base with very few ground radials. I was wrong. I completed my second QSO365 challenge with relative ease and there are two main reasons for this. The first is that after being made redundant in early 2017, I started a new job which involved working from home. This means that it’s been a lot easier for me to pop out of my home office at lunch time or during breaks and spend a few minutes in the shack making contacts. I’ve also been able to quickly make a couple of QSOs early in the morning before I started work whereas in 2011, I only had limited time on weekdays and came perilously close to failing a few times. The second reason is the main one and regular readers have probably already guessed what it is. Love it or hate it, I almost certainly wouldn’t have completed this challenge without FT8. 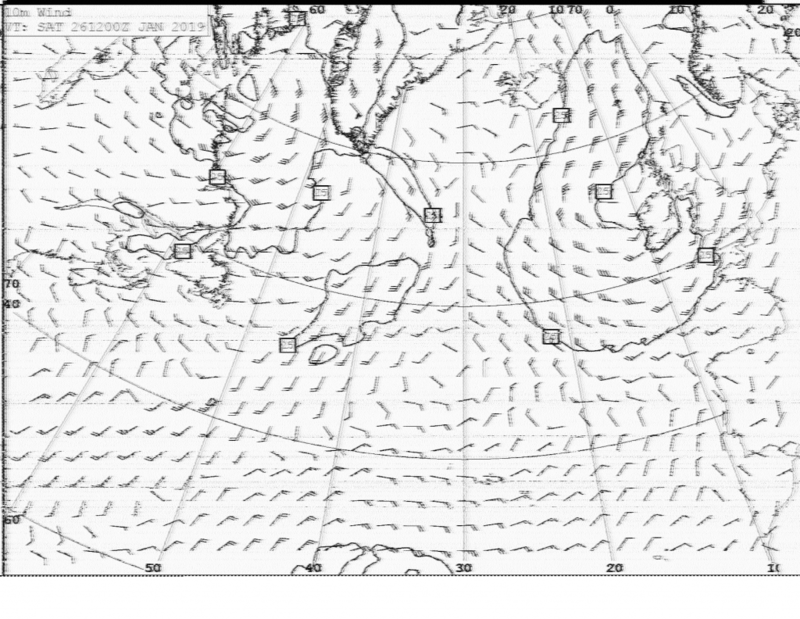 There has been much written about FT8 over the last eighteen months or so and I’m not going to drag that all up but I have no doubt in my mind that if I hadn’t used it, I wouldn’t be writing this today. A similar thing happened in 2011 where JT65 was my saviour and without that, I wouldn’t have completed the original QSO365. 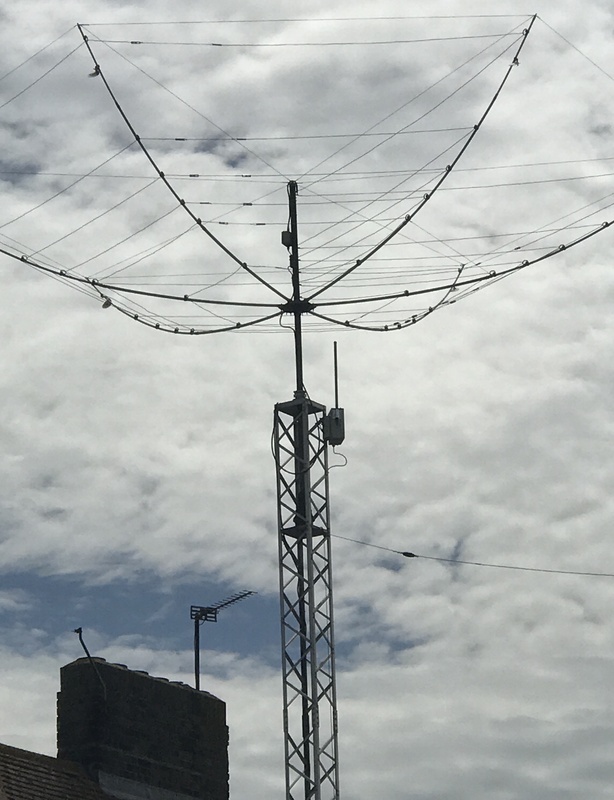 In 2018 I used three callsigns – My main G6NHU, my special short contest callsign M7P and for a very limited period, I operated with GR6NHU to celebrate the Royal Wedding for three days in May. Here are some pretty graphs, statistics and figures which take into account all three callsigns. 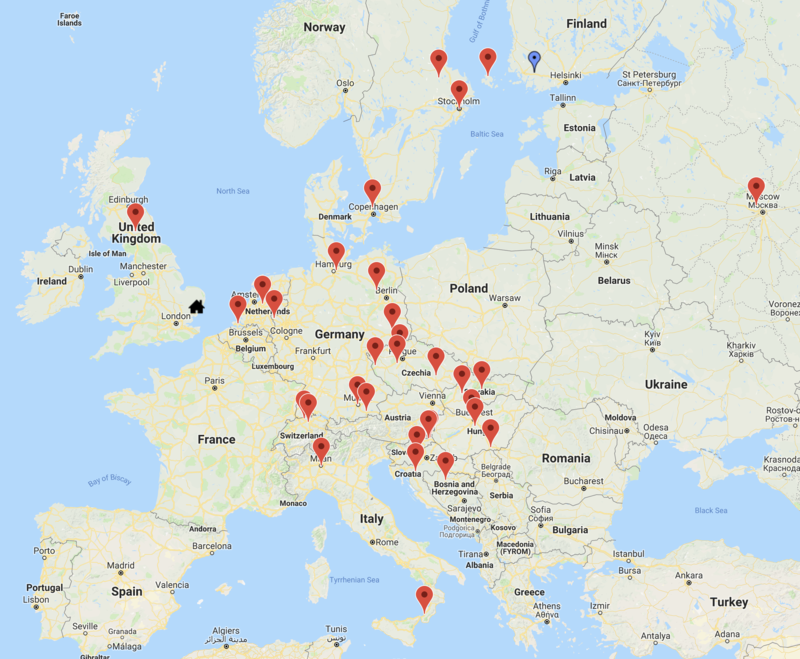 It’s not surprising to see that I’ve worked nearly three times as many European stations as the rest of the world put together or that 20m is the band I’ve used the most – When I’ve worked contests this year, I’ve spent a lot of time on 20m just because it’s the most active band that I’ve got a decent aerial for. Outside of contests, I’ve worked a lot of stations on 17m FT8 and that’s clear from the figures above. The top ten countries are no real surprise either – Russia, Germany and the USA are the top three, closely followed by Ukraine, Italy, Spain and Poland. I’m pleased to have worked 67 JAs in 2018 and it’s always nice to see VK in the log although there were only ten instances. I’m disappointed not to have worked ZL this year as the last time it appears in my log is back in 2014 when I had a sked on 40m JT65 with Pete, ZK2iK who I met soon after when he visited the UK and we exchanged QSL cards in person over a cup of coffee and a slice of cake. As explained earlier, data contacts were a significant proportion of my QSOs during 2018 but they’re not just FT8. As well as around 2,200 FT8 contacts, I’ve made nearly 600 QSOs using RTTY, just under 100 using PSK31/63/125 and a handful with JT9/JT65. Around 350 of my contacts were using SSB and the final 450 or so were made with Morse code (CW). This year I’ve spent some time chasing QSL cards for 40m and as a result of this, I’m now at 98 DXCC entities worked and confirmed on that band with only two more needed for 40m DXCC. The inverted L doesn’t work well on 40m so I want to remove it next year and install a full size dipole to help me pick up those final two countries and then it’ll be time to concentrate on 80m for 5BDXCC. In 2018 I added thirty new countries on 30m, a dozen or so new ones on 80m and around twenty on 160m. As grid chasing appears to be a growing thing on HF nowadays, I can report that I worked 761 different squares in 2018. I did start chasing new ones towards the end of the year towards a specific award but will post more about that later. I can confidently say that I won’t be repeating this in 2019 but I’ll still try and get on the radio as much as I can. Although the challenge wasn’t difficult in 2018, it’ll be nice not to have to fire the wireless up every single day. I go through phases of not sleeping very well and I’m in the middle of one of those right now. Yesterday evening after a very bad night previously, I went to bed relatively early in the hope that because I was so exhausted, I might actually drop off quickly. No such luck, two hours later I was still wide awake. I decided to get up, pour myself a large G&T (more on this later) and switch the wireless on for an hour or so. I’d seen someone on Twitter mention the Stew Perry contest and was keen to see what that was all about. The website describes it as “the friendly 160 meter contest” and that’s exactly what I experienced. Speeds weren’t stupidly high and apart from the usual 5NN reports, there were no cut characters in the exchange which I always have to think about when operating CW. The actual exchange itself is the first four characters of the station Maidenhead Grid Square. Mine is JO01 which is quite long winded to send in Morse code with lots of dashes. You can hear it by clicking the play button below – This is at 20wpm which is the speed I was operating during the contest. I simply tuned from the bottom of the band up to past the FT8 section, working everyone I heard and made 33 QSOs in 49 minutes which I appreciate isn’t a lot but it was still one of the most enjoyable contests I’ve worked this year. The rules (especially rule 6) are worth a read and made me laugh. I left the shack with two drinks inside me and with a big smile on my face. I mentioned that I’d poured myself a G&T. 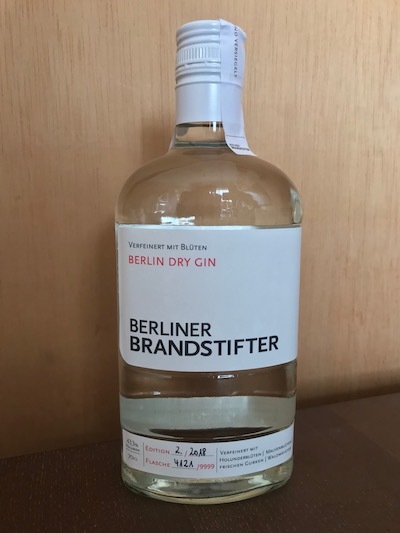 For those interested, it was Berliner Brandstifter (Berlin dry gin) that I picked up in the Duty Free at Berlin airport earlier this year. I really like this gin and as they only produce 9,999 bottles a year, it’s quite difficult to find in the UK and is relatively expensive. The fact that I bought it in Berlin at the duty free price made it very reasonable though and if I get back there next year, I’ll certainly buy another bottle. While operating the contest I had two double measure G&Ts using Fever-Tree Indian tonic water with lots of ice and a scrape of lime zest. I’ll see if I can remember this contest next year and perhaps spend more time operating. It’s been well over a year since I moved my external ADS-B receiver to the top of my Alimast and it’s been performing very well, regularly sitting in the top five of the UK receivers according to the FlightAware statistics page and in the top ten world wide on the PlaneFinder sharers list. 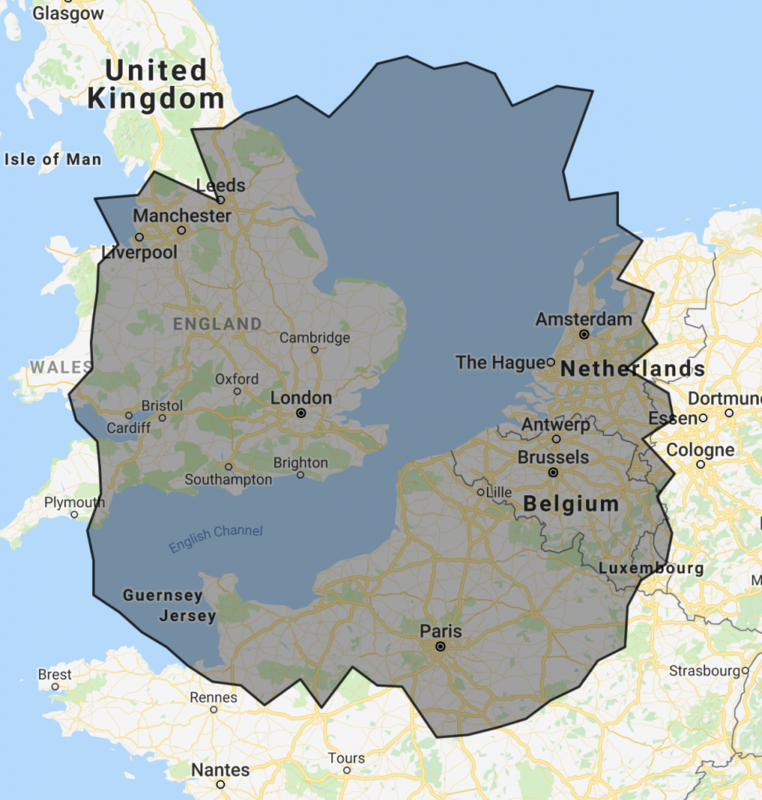 A good location is paramount when it comes to tracking aircraft and I am ideally situated, being very near to major airways into the UK and also having good reception from aircraft in north west Europe. Earlier this year I also made a slight modification to my internal tracker. The aerial is the same, a two element homebrew J-Pole collinear but I’ve raised it up by about three feet by cable tying it to a rifle cleaning rod. As well as increasing the height, this is a metal rod so would have effectively improved the ground plane as well. Doing this has significantly increased the number of reports that the system receives each day. 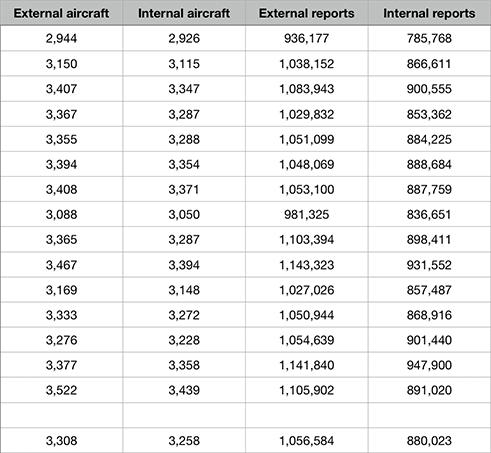 Both receivers see approximately the same number of aircraft per day which is what I’d expect but the external system receives around 20% more position reports. I put this down to the fact that the aerial is higher and in the clear but the internal receiver still works really well. This fancy display (which you can drag from side to side) will show you the heatmap of the two receivers. The main difference is that the internal system has a big gap in coverage in the direction of the chimney stack. Apart from that, they’re fairly similar. The two installations are very different from each other and I think this demonstrates that an internal receiver can work well, If you get get a decent aerial mounted on a good ground plane with no coaxial cable, you can make a useful aircraft tracker. Building your own aerial is cheap and effective. 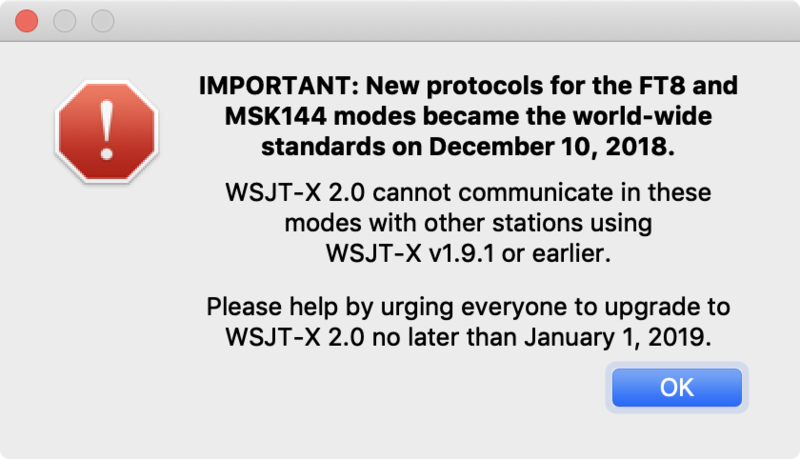 WSJT-X version 2.0.0 has been released and everyone who uses this software for any data modes should update as soon as possible. This new version is NOT compatible with previous versions so everyone is encouraged to upgrade to 2.0.0 as soon as possible. Compound and nonstandard callsigns are automatically recognized and handled using new FT8 and MSK144 message formats. 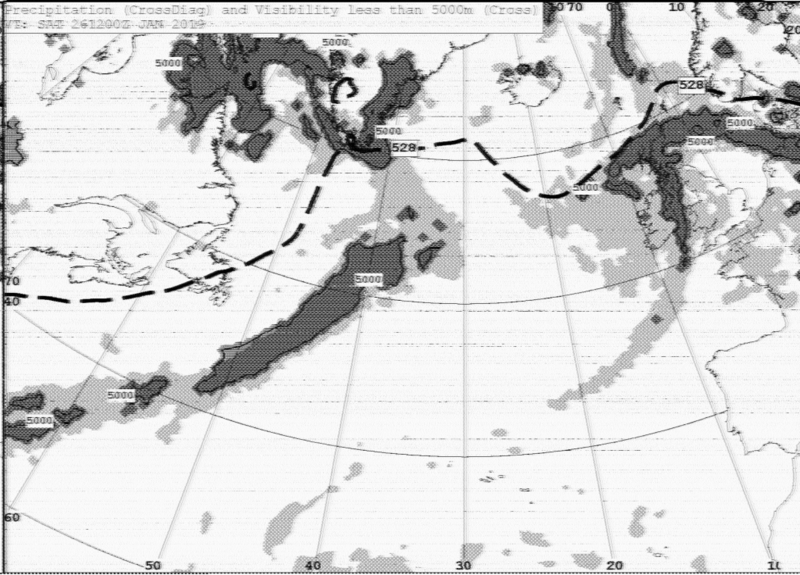 The new FT8 protocol provides optimized message formats for North American VHF contests, European VHF contests, ARRL Field Day, and ARRL RTTY Roundup. 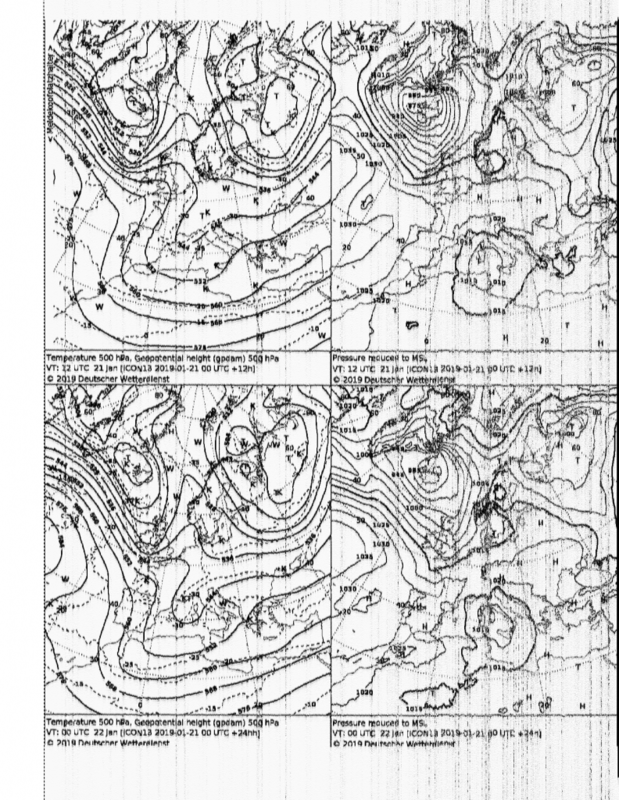 Similarly, the new MSK144 protocol provides optimized message formats for North American VHF and European VHF contests. Full support is provided for “/R” and “/P” calls in the relevant contests. The new protocols provide nearly equal (or better) sensitivity compared to the old ones, and lower false decode rates. 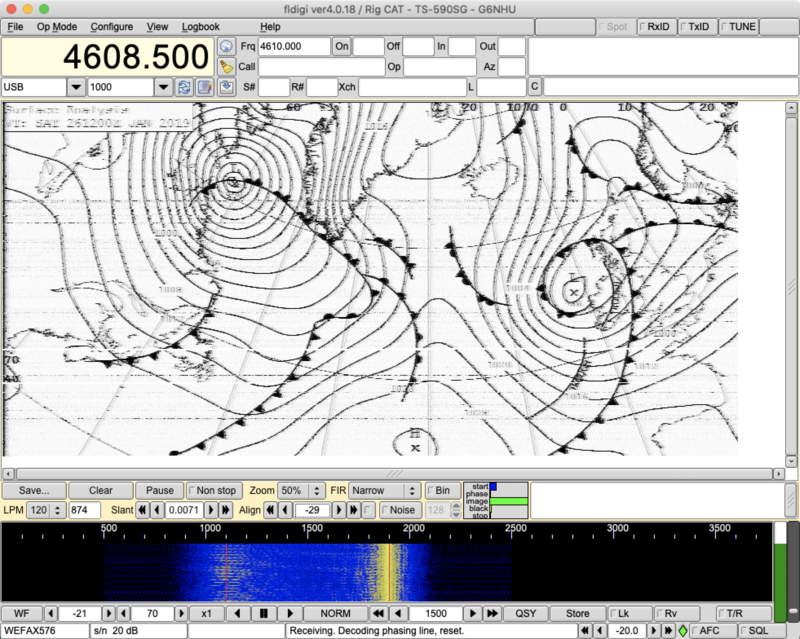 New logging features are provided for contesting and for “Fox” (DXpedition) mode. Logging is optionally integrated with N1MM Logger+ and WriteLog. 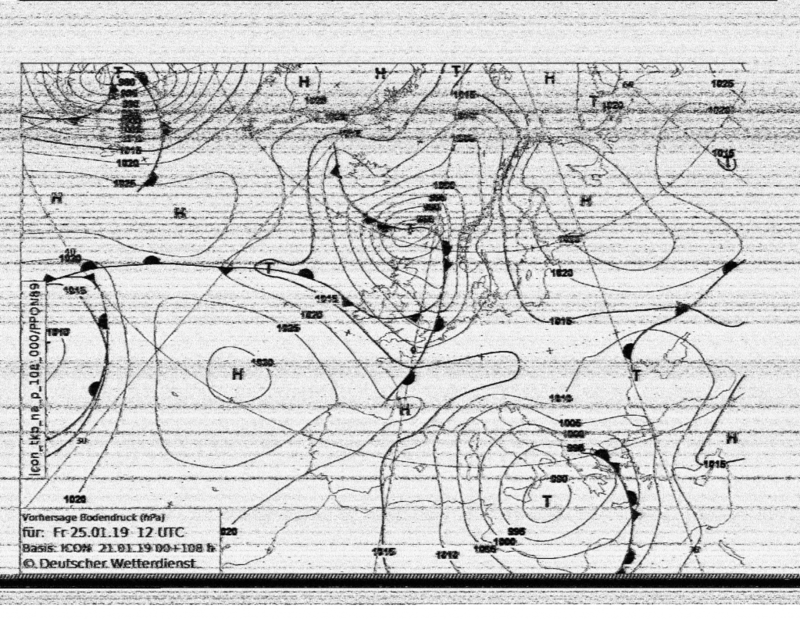 Color highlighting of decoded messages provides worked-before status for callsigns, grid locators, DXCC entities, continents, CQ Zones, and ITU zones on a “by band” and “by mode” basis, and for stations that have uploaded their logs to Logbook of the World (LoTW) within a specified time interval. The WSPR decoder now achieves decodes down to S/N = -31 dB. For the particular benefit of LF/MF users, an option “No own call decodes” has been added. The UDP messages sent to companion programs have been expanded and improved. For the full release notes, see here. Upgrading from earlier versions is seamless and there is no need to uninstall your previous version or move any files around. You can download the installation packages for Windows, Mac and Linux here. I’ve been using the release candidate versions of WSJT-X for some months and have been following the progress via the developers support list. A lot of work has gone into this version and it really is important that everyone upgrades as soon as possible. If you’re not sure what version you are using then look at the top bar of the main activity (not the waterfall) where the version number is shown. It will most likely be v1.9.1 but could quite well be v1.8 if you simply installed it a long time ago and haven’t upgraded. Of special interest to me is the fact that it’s now possible to operate contests using FT8 and the inaugural FTU-Round Up contest was a couple of weekends ago. I spent a few hours operating in the contest and really quite enjoyed it. It’s very different from other types of contesting but was very satisfying. 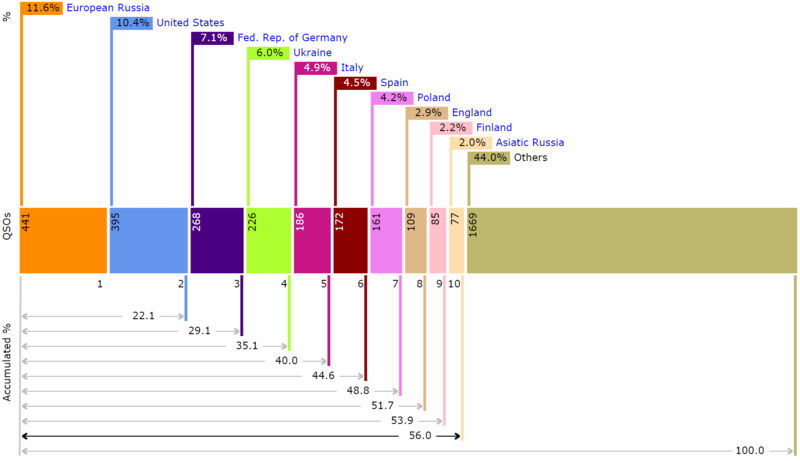 You can see a full analysis of my entry with graphs, maps and statistics by clicking here. 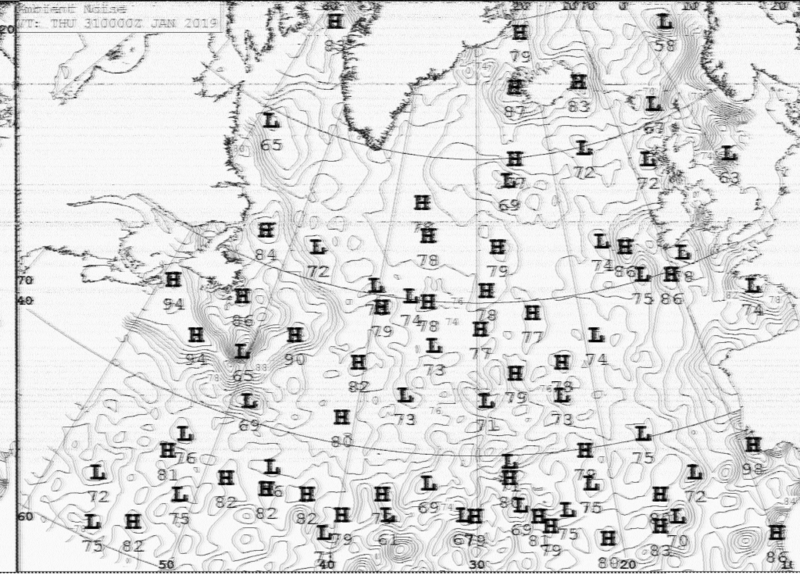 The bottom line is that you really need to upgrade WSJT-X as soon as possible to maintain forward compatibility. If you don’t upgrade then you will notice you are decoding and working fewer and fewer people.